Don’t Settle For The First San Francisco Oral Surgeon You Find. Shop Around. When you are going to make a major investment in something like a new car you will shop around. That is eminently sensible. You want to be sure that you are getting the best deal. You also want to find out about the quality of servicing that the auto dealer offers, so you’ll read reviews or talk to friends who have purchased a car there. So when you are in need of oral surgery it makes sense to shop around for second opinions and oral surgeons in SF. It is more important to know that you are getting the best oral surgeon in San Francisco to perform an operation on you than it is to know that you are buying the best car from the best dealer. Dr Alex Rabinovich is widely known as one of the best oral surgeons in San Francisco and he is happy to offer you a second opinion by way of a free consult without obligation on any oral problems that you may have if you are seeking second opinions and oral surgeons in SF. Dr Rabinovich is an expert in all forms of oral surgery, maxillo-facial surgery, facial cosmetic surgery, facial reconstructive surgery such as cleft lip and trauma deformities, and corrective jaw surgery. He began his medical training at Columbia University School of Dental and Oral Surgery in New York where he obtained his DDS. He then went to the State University of New York, Downstate School of Medicine, graduating with an MD degree. From there, Dr Rabinovich went on to a residency in General Surgery and Maxillofacial Surgery at Kings County Hospital. He was subsequently selected to undertake a fellowship at Georgetown University/Posnick Center for Facial Plastic Surgery where he worked alongside some of the leading facial surgeons in the world. As can readily be seen, Dr Rabinovich is as highly qualified as it is possible to be in his fields, and you should most certainly see him if you are looking for second opinions and oral surgeons in San Francisco and throughout the Bay Area. He has undertaken thousands of successful oral surgeries during his career. 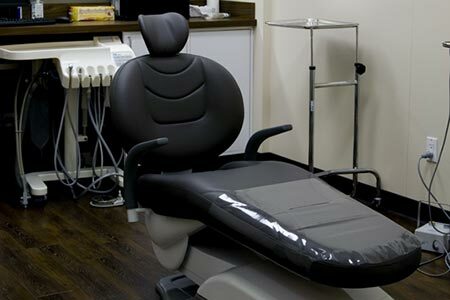 Whatever your problem concerning oral surgery, Dr Rabinovich can help you. Call his office on (415) 817-9991 or click on the Contact Us link at the top of the page to arrange for him to provide a free consult. This entry was posted in Blog and tagged Jaw Surgery, oral surgeons, Oral Surgery, San Francisco on February 19, 2017 by Dr Alex Rabinovich.